How did you find my January Shoe Collection? Thanks to all my generous sponsors for trusting my blog! We have to cherish every moment and be thankful for Gods blessings everyday! I feel so blessed! I hope you too! Appreciate single moment even the smallest blessings! 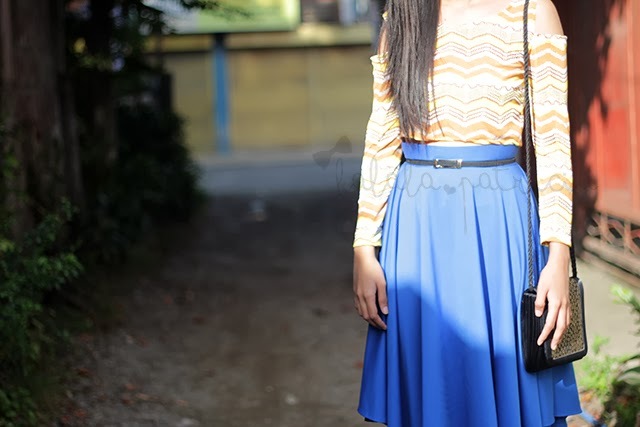 So here's another outfit post from my Review Days. Printed outfits like this orange zigzag top from House of Keezelle will definitely amp up your style volume. 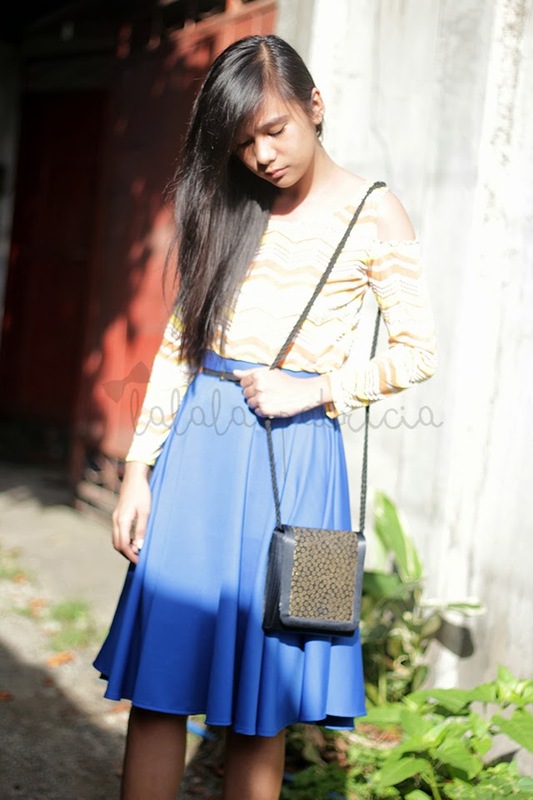 Give your look a stylish spin with this Blue Midi Skirt from Istilo Iloilo. It's sure to add posh and an instant appeal with a bold of color. Ideal for casual outfits!